Jessie Chung has finally tore up the music scene with her Love Unity Concert on October the 17th at Megastar Arena! In just 3 and a half hours, Jessie has left the audience mesmerized, performing a total of 25 songs without a hint of slow-down through the entire night of captivating performances, fanning the heat of a huge crowd of fans. Jessie Chung’s Love Unity Concert fundraises for cancer patients and orphans and has yielded huge responses from fans around the world, including the US, Taiwan, China, Australia, Korea, Indonesia, Myanmar, and home-soil Malaysia – leaving barely any space in the more than 2000-capacity arena. Due to the massive reaction, Jessie promised that she would open a second concert in December. 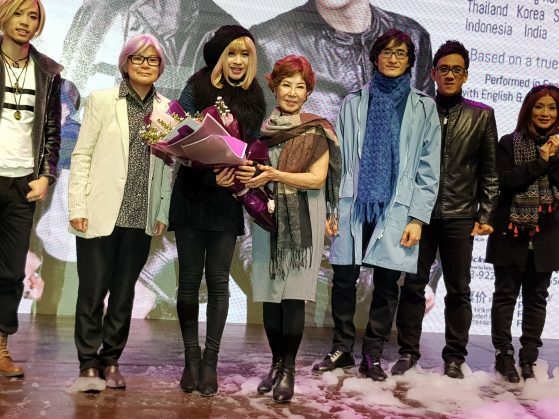 She was accompanied by a 7-person live band and 4 angelic backup vocals Lydia Chew, Paul Wah, Haslan and Daniel. All 25 songs were rearranged by renowned Malaysian music producer and director Helen Yap. Malaysia’s famous singers Fauziah Latiff and Ziana Zain performed as guest artistes that night. Jessie also brought up her Wushu team to perform jaw-dropping maneuvers and choreographs with different weapons, assimilating Chinese culture to the audience. All amount raised will be donated to the Dr. Jessie Chung Cancer Fund, MAKNA (National Cancer Council Malaysia), Rainbow Home Orphanage and Shelter Orphanage.